Yesterday, the Royal College of Surgeons launched a report that aims to increase their female representation. Deborah McNamara, chair of the RCSI's Working Group on Gender Diversity, at the launch of the report 'Progress: Promoting Gender Equality in Surgery' yesterday. YESTERDAY, a report on promoting gender diversity in the healthcare sector was launched, with a view to implementing changes that will promote a positive change. Just 7% of all surgeons in Ireland are women, despite 50% of female medical graduates and 34% of surgical trainees being women. The Royal College of Surgeons tasked Deborah McNamara with carrying out the report into the problem of gender diversity, with the input of the Working Group on Gender Diversity, medical trainees, and international literature. Through their work, they found that issues faced by women in the healthcare sector pursuing their career included: a lack of communication about their options, an absence of competitiveness in interviews, and not enough flexibility to care for families. “We looked at all of the steps through the surgical training pathway and we were trying to identify barriers at all of those stages,” McNamara said, who is a consultant in General and Colorectal Surgery at Beaumont Hospital. McNamara said one of the aspects they found striking was an issue around being competitive in an interview during promotions. There’s definitely an issue around being competitive in an interview. I mean in a public health service it’s important we compete and that the best people get the jobs. McNamara said that it’s the role of the RCSI to advise people to ensure they know what’s expected from them in interviews, and give trainees the correct career advice. Women working at Hewlett-Packard applied for a promotion only when they believed they met 100% of the qualifications listed for the job. Men were happy to apply when they thought they could meet 60% of the job requirements. “It’s challenging to combine family life with a busy professional career,” McNamara said. 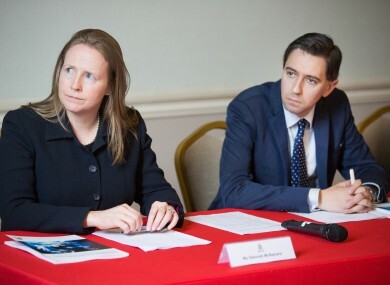 In response to the RCSI report, Minister for Health Simon Harris announced that the HSE is to ask women about their personal experiences of balancing pregnancy with work. It’s hoped that this will help understand the obstacles women face in the healthcare sector, and how schedule could be made more flexible to allow both men and women to return to work once they become parents. “Surgery is a demanding career, no matter who’s doing it,” McNamara said. Email “Why there are so few female surgeons: 'There's definitely an issue around being competitive in an interview'”. Feedback on “Why there are so few female surgeons: 'There's definitely an issue around being competitive in an interview'”.